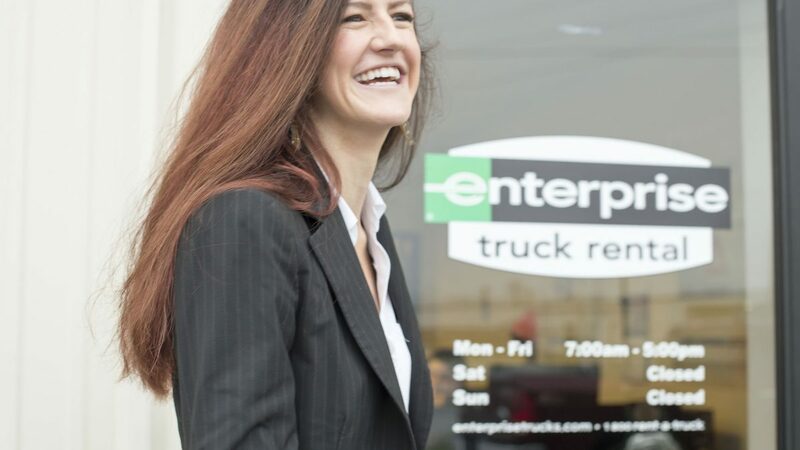 Michaela M. started at Enterprise in 2013 and joined Truck Rental three years later. She is currently a Truck Branch Manager in Little Rock, Arkansas. Michaela’s mentors continue to guide her toward personal and professional achievements, keeping her on a path toward success. As part of our celebration of Women’s History Month, we asked Michaela a few questions about how she got to where she is in her career today. One of the most standout pieces of advice I received happened during the Diversity Leadership Program three years ago. I was at a crossroads in determining the next step in my career and wasn’t sure what option to take. I was advised, “Make sure that whatever you decide, you are always running toward something rather than basing your decision on running away from something.” This has been crucial to my success, and I constantly utilize it in making important decisions. There can be times you might hit a rut, and the easiest route is to find a way out of the situation, regardless if it’s the right move for your career. When looking down the line, I use that advice to analyze and ensure that I have set the groundwork and achieved the goals necessary to position myself for the next opportunity I am working toward. What has surprised you most throughout your career journey? What has surprised me the most throughout my career with Enterprise is that a family-owned company from my home state of Missouri can have such massive global outreach without compromising its presence and vital impact in our local communities. They’ve made something that seemed impossible, possible. As I continue to build on my leadership skills, I am surprised everyday by my abilities and the skill sets I acquired in just five short years. I realize the training and mentorship I received is applicable anywhere – in both my personal and professional endeavors. I watch our company achieve this by supporting our training with a global community of people and technology that strengthens our neighborhoods with employment, days of caring, Foundation grants and company initiatives such as Fill Your Tank and the 50 Million Tree Pledge.